We provide both dog teeth cleaning as well as comprehensive feline dental care including cat teeth cleaning. Dental care is an important part of your pet's overall healthcare and should not be overlooked. The staff at Oakland Park Animal Hospital is committed to providing the dental care that your pet needs as a part of their veterinarian care. If you are in need of a pet dentist to provide proactive care to your pet, the Oakland Park veterinarian staff is here to provide that care. We understand the importance of pet dental health as part of your pet's overall care and believe that your pet will benefit from regular teeth cleaning and dental care. Proper dental care can allow your veterinarian to spot many medical problems before they become serious issues. If your pet has not had a comprehensive cleaning in the last six months it is time to schedule an appointment for your dog's teeth cleaning or cat teeth cleaning with our vet dentist. A comprehensive dental exam can provide insight into your pet's overall health and find issues such as gum disease before they become serious health problems. In the process of providing dental care, your vet may also be alerted to other health issues that require attention. Do not overlook the importance of comprehensive dental care. If your pet has significant health issues, they can have a detrimental effect on their teeth and oral health. Additionally, some health issues such as diabetes can show up as oral health issues before other common symptoms of the disease appear. Preventing serious dental problems and providing your pet with regular oral health care and maintenance is important for their overall care. 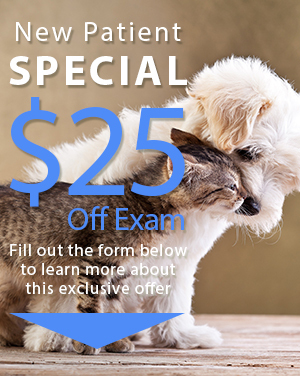 We provide comprehensive care services that can prevent your pet from having to experience often painful problems such as gum diseases and cavities that go untreated. The staff at the Oakland Park Animal Hospital can provide regular dental care that will help to prevent your beloved companion animal from experiencing gum disease, tooth loss, and painful dental issues. We understand that your pet is a part of your family and we are dedicated to providing them with the comprehensive care that they deserve. If your dog or cat is in need of a dental cleaning, or you are looking for regular vet care for your family's furry friend, give us a call today at (954) 731-4228 to schedule an introductory appointment. 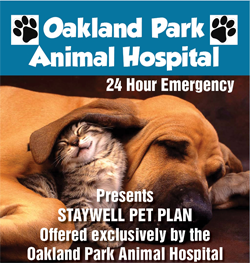 Our animal hospital is conveniently located at 2200 West Oakland Park Boulevard in Oakland Park.